On the palate, the wine is elegant and complex with flavours of honeysuckle, lime marmalade and fresh almonds, all wrapped in creamy oak. A seamless blend of four varietals to create a uniquely South African wine honouring one of the country’s wine pioneers. Lively fresh lemon and lime notes from the Chenin and Sauvignon Blanc are given added interest with fragrant floral hints from the Verdelho and Viognier components. On the palate, the wine is elegant and complex with flavours of honeysuckle, lime marmalade and fresh almonds, all wrapped in creamy oak. Zippy acidity runs through the wine until the eminently satisfying, lengthy finish. 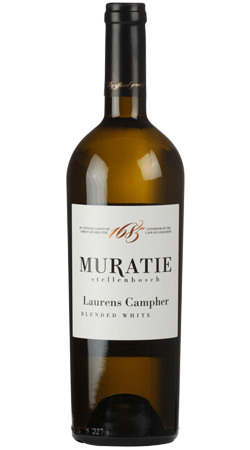 It is a blend of 47% Chenin Blanc, 27% Verdelho, 20% Sauvignon Blanc and 6% Viognier. 20% of the wine was fermented in first fill barrels and the rest was second and third fill 500 litre French Oak barrels for a period of 11 months in total.